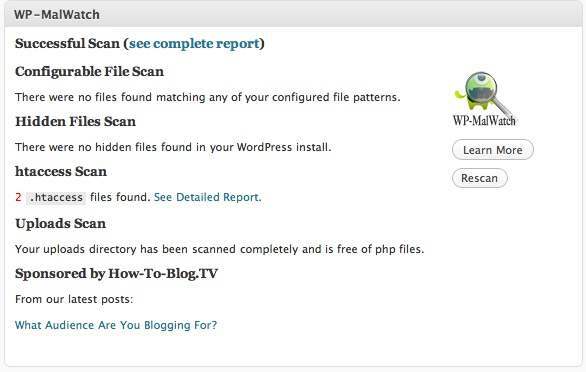 WordPress is a php & database based blogging platform and is always targeted by hackers. There are many WordPress plugins are there which are very useful to prevent WordPress hacking. Here I have created a list of Top WordPress Security Plugins which will help you to protect your blog from hackers. We have already informed how hacked WordPress themes harm your blog and why you should not download free premium WordPress themes. Anyways, many bloggers still fall for such trap and download WordPress premium stuff from unreliable sources. In most of the cases, you will not even realize that your blog is hacked and hacker will be passing link juice to spam site or using it for other unethical uses. Anyways, we will keep this discussion for some other time and for now, we will look into some of the top WordPress security plugins. When ever we talk about hardening WordPress security, we suggest some basic security tips like use WordPress backup plugins, implement recaptcha test , secure WordPress directory browsing. At times, it’s impossible to do all these tasks at once. These mentioned security plugins for WordPress will be helping you by taking care of all basic and advanced WordPress security measures. It’s not necessary to keep all these WordPress plugins active all the time but it’s a good security practice to run these plugins once in a while, to make sure your WordPress blog is not hacked or contains any malicious code. Update your WordPress blog to latest version. Update all themes and plugins to latest version. Login to your WordPress blog via FTP and check for files which are modified recently. Most of the time this is the easiest way to find recently modified files. 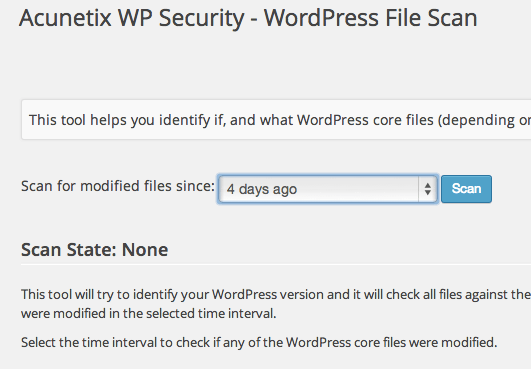 You can also use 2nd WordPress security plugin from the list to find recently modified WordPress file. I just tried one more plugin call Get Off malicious scrips which is also amazing. You can download it from here. If you know any other Wp security plugin which deserves to be in this list of top WordPress security plugins, than do let us know via comment. Also, what other method do you use to prevent your WordPress blog from hacking?